In this article, you will learn what Agile methodology in software development is and the disadvantages of the Waterfall model. In this article, we will learn why we need to use Agile methodology over the Waterfall model in the software development process. Once you develop any product, the software development process is divided into multiple phases as described in the Waterfall model. On the other hand, the Agile methodology divides a project SDLC (Software Development Life Cycle) into multiple sprints. One of the major differences between Agile and Waterfall development methodologies is their individual approach towards application quality, accuracy, and application testing. Multiple user roles in Scrum. Top 10 reasons to use Agile methodology in software development over Waterfall model. 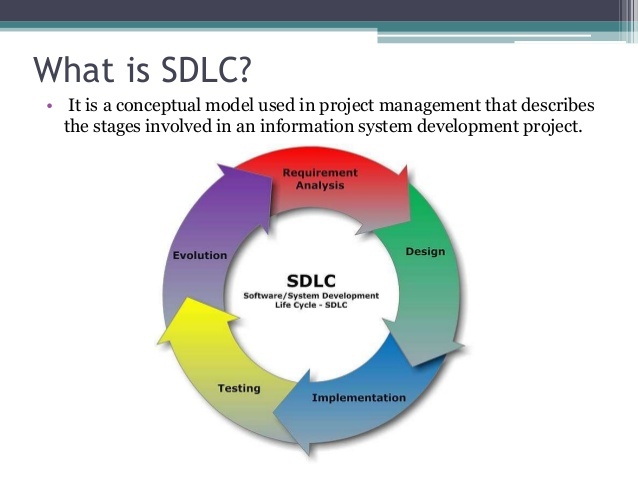 SDLC is the acronym of Software Development Life Cycle. It is, likewise, called the Software development process. 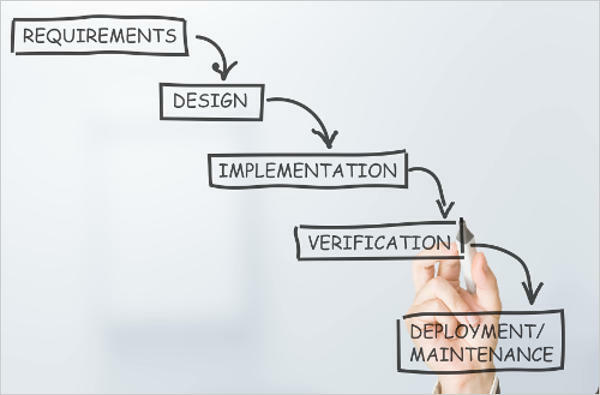 The SDLC is a system characterizing undertakings performed at every progression in the product development process. ISO/IEC 12207 is a worldwide standard for programming life-cycle forms. According to the above picture, we can understand easily that these are the necessary steps to develop any type of project. The Waterfall model is a step by step process or sequential (non-iterative) design pattern that is used for software development. In Waterfall model, the process is seen as going steadily downwards like a steep fall or waterfall, through the stages of conception, planning, analysis, design, development, testing, production/implementation, and maintenance. From the above image, we can easily understand the flow of software development process in the waterfall model. There are several drawbacks of the Waterfall model, as explained below. Once an application is moved to the testing phase, it is very tough to go back and apply some unforeseen changes that were not planned properly in the planning phase. No working software is produced until late in the life cycle of the SDLC process. A huge amount of risk and uncertainty is attached to the Waterfall model approach. I have faced some new issues with the Waterfall model, as listed below. To avoid these drawbacks of Waterfall model, nowadays, most of the developers are using Agile methodology for software development. Now, I am going to explain in detail why we should opt for Agile over Waterfall model. "Agile software Development" is an umbrella term for a few iterative and incremental programming development approaches. The most famous Agile methodologies incorporate Extreme Programming (XP), Scrum, Crystal, Dynamic Systems Development Method (DSDM), Lean Development, and Feature-Driven Development (FDD). According to the above image, we can understand that Agile divides software development process in multiple sprints where each sprint has its own software development life cycle. 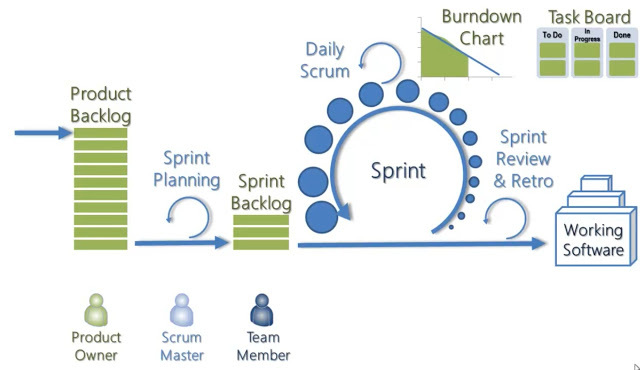 In the Scrum technique for Agile programming development, work is limited to a standard, repeatable work cycle, known as a sprint for emphasis. Scrum sprints used to be 30 days in length, initially. However, today we use one-week or two-week sprints. We can say that basically, Sprint is a group or collection of tasks. Scrum is an Agile approach to manage a project, more often than not project development. Coordinated project development with Scrum is regularly seen as a strategy. The survey Scrum can function as procedure, or we can consider it a system for dealing with a procedure. There are three specific roles in Scrum. Product Owner should be a person who can work with vision, authority, and availability. The Product Owner is always responsible for continuously interact the vision, priorities, and other things for the development team. It’s sometimes difficult for any Product Owner to strike the right balance of involvement in the project. Because Scrum values self-organization among teams, a Product Owner should fight the urge to micro-manage. At the same time, Product Owners must be always available to answer the questions from any team member. The Scrum Master works as a facilitator for the Product Owner and the team. The Scrum Master does not deal with the team but attempts to expel any obstacles that are hindering the team from accomplishing its sprint objectives. This helps the team stay imaginative and beneficial while ensuring that its victories are obvious to the Product Owner. The Scrum Master likewise attempts to prompt the Product Owner how to amplify ROI for the team. The team is always responsible for finding how it will accomplish the work to be completed on time. The team has autonomy and responsibility to meet the objectives from sprint. Top 10 reasons to use Agile methodology in software development. I hope you have learned a lot of things about Agile methodology and the drawbacks of the Waterfall model. For more details, you can go through the following links.